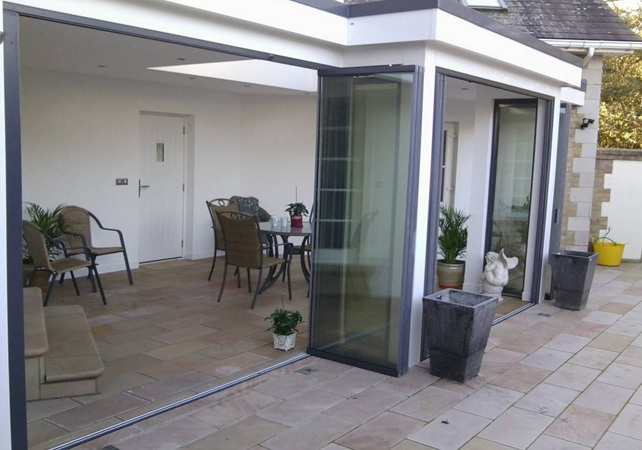 Our customers have benefited from professional aluminium Bi folding Patio Doors installation for many years. 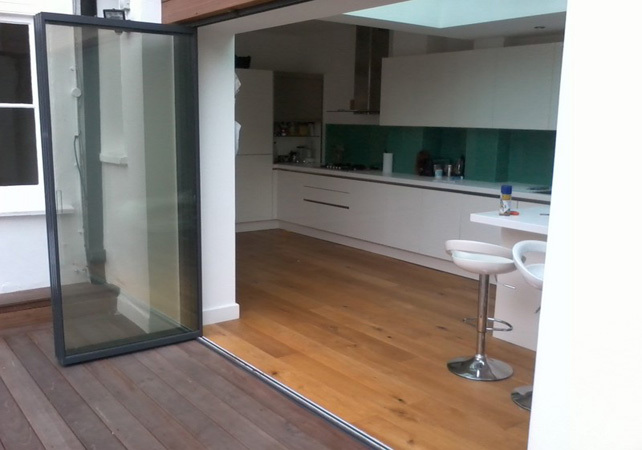 Made to measure, these doors are all retractable so take up no space when fully open. Slimline frames keep the view open. Clients include homeowners and commercial properties. What we offer all clients is fair trade prices and a 4-6 week delivery time. This all includes a precise measurement survey, manufacturing, and professional installation. The quality and knowledge or the product range is under our full control, so we therefore have complete control over the cost. Whatever cost savings we can find is provided directly to the customer. 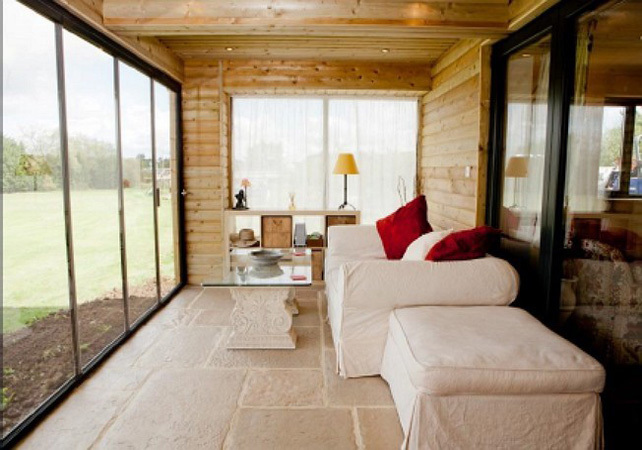 Designing our sliding patio doors to the client’s exact specifications is not all we do. We can implement over 40 different fold options, different types of glass, and a complete system suited for any application. Nearly unobstructed garden or patio views are enjoyed by countless customers. 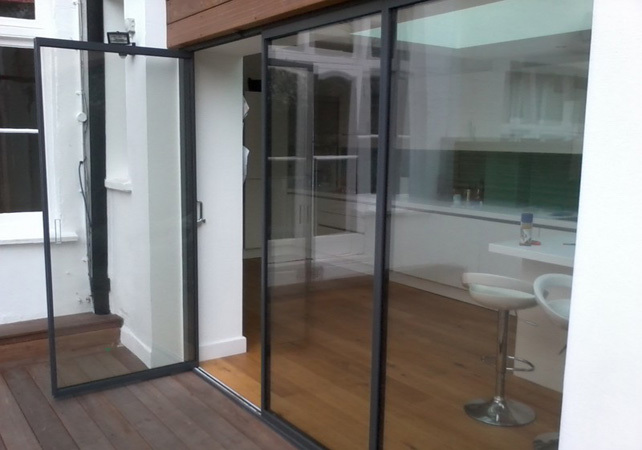 Whether used periodically or frequently, our aluminium bifold doors can feature a primary access door and a simple mechanism for opening entire sections to accommodate large gatherings and parties. 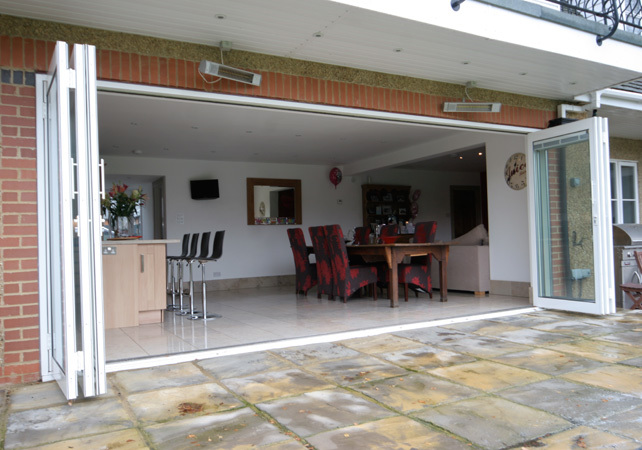 These bifolding doors are versatile as much as they are convenient. Able to retain heat in certain parts of the house, they are also durable enough to withstand the weather and other outside elements. 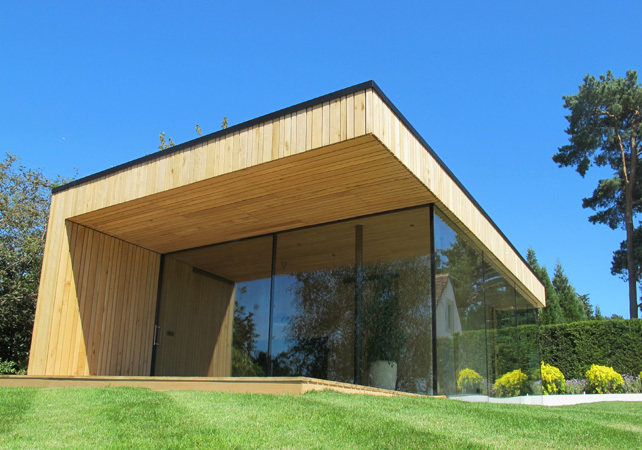 Our products also meet every UK building regulation and are fit by professional installers. In fact, we’ve successfully put in door systems with up to 10 panels. 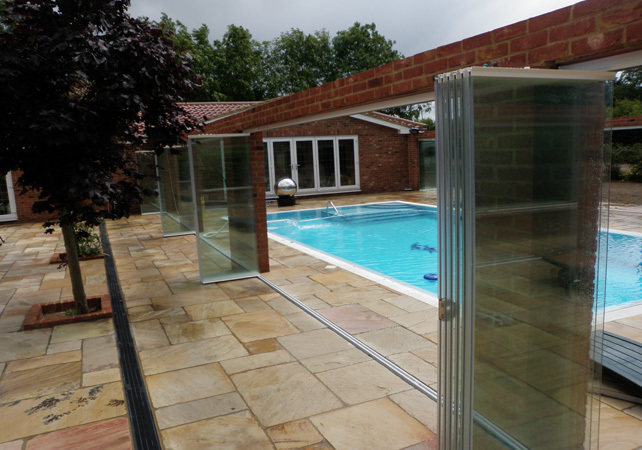 Our options range from double glazed to K-toughened Pilkington glass. 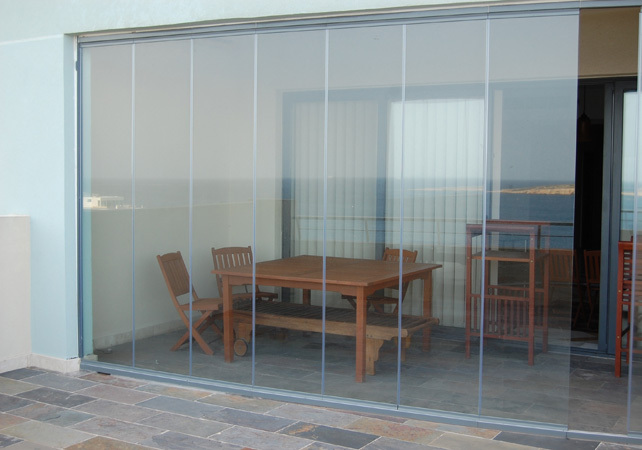 Fabricators can also integrate four seasons glass, solar or frosted glass, and event blinds. The slimmest aluminium extruded frames on the market top it all off. Please click here for further product information. Accurate measurements guarantee flush levels with the floor, eliminating trip points and obtrusive rails. The quality is comparable to UPVC alternative products and many customers find the elegance of our products unbeatable. Combine that with heating bill savings and you have a truly unique and beneficial installation. Contact us for more details and an instant quote.